SIMCO supplied the enclosures and provide the machining and printing we needed for our project. We couldn’t be happier with their service. Without yeast, you can’t have beer. Without happy & healthy yeast, you can’t make great beer. 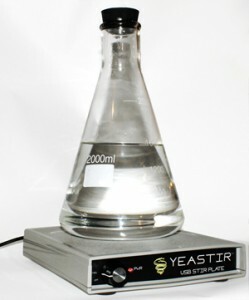 Yeastir is an affordable, high quality magnetic stir plate that helps cultivate yeast cells to make better beer! Stir plates use magnetic fields to stir fluids without introducing unwanted dirt, bacteria, or other organisms. Yeastir is special, because it uses a USB connection, which is convenient, low power, and available around the world. 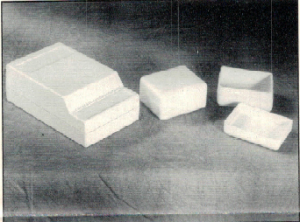 The same model of Yeastir is used by beer brewers across the United States, Canada, and Europe without modification. A good stir plate must provide a stable, level surface to safely seat lab flasks 10 inches wide and weighing more than 10 pounds. Great products have unique “feel” to them and we wanted Yeastir to feel solidly constructed and durable. We use enclosures from SIMCO, because they offer us the same high quality products that we want offer our customers. We, the creators of Yeastir, started with the desire build a beer brewing tool that we would be proud to sell. We decided to make a stir plate when we noticed that our brew friends were avoiding cultivating yeast, because they could not afford to buy and did not want to build their own stir plates. For more information about Yeastir and how to order, check out Yeastir.com. As always, best of luck with your next brew! 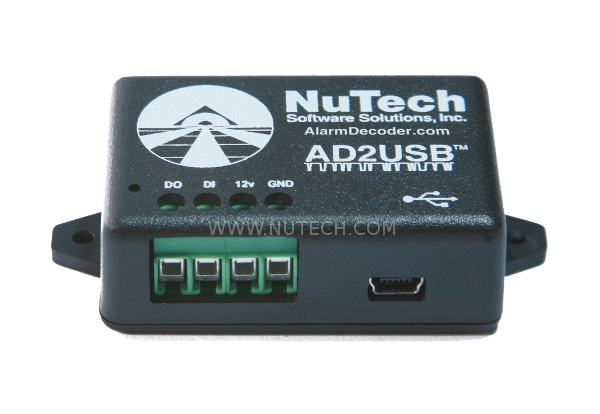 NuTech Software Solutions, Inc. AlarmDecoder in SIMCO‘s 075X12 Plastic Utility Box. With the AlarmDecoder AD2USB you will be able to control your Ademco or DEC / Honeywell Vista alarm system from any device that has a USB port. Arm and disarm, detect opening and closing of zones, program your panel, download programming and even monitor your alarm’s motion and other sensors directly from your home automation system. Virtual zone expanders allow you to interface other systems and devices with your home automation system! 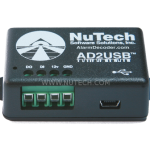 Perfect for embedded or Home Automation applications with USB. A must have tool for alarm installers or someone wanting to program their own alarm panel. Supports arming/disarming, detecting zone open/close, and programming your panel. Monitor RF devices, even if they’re not configured on your panel. Supports virtual zones, allowing you to integrate nearly anything with your home automation system. Offers Mini USB B connection. Protective enclosure with mounting tabs. NuTech selected the 075X12/M wall mount enclosure which features a flat bottom cover and molded top cover. SIMCO machined openings per customer specifications for a USB connection and wiring block. Hand wiring is a proven method to insure good, solid connections in electronic circuits. There are no printed boards in the Sweet ‘N Warm amplifier. Only the highest quality components are found in the signal path. Single source stereo assures that noise and distortion will not manifest itself in the selection function. Many engineers and experimenters alike find the glass vacuum tubes attractive to look at while they dissipate heat into the air. For both of these reasons they are located largely on top of the enclosure. 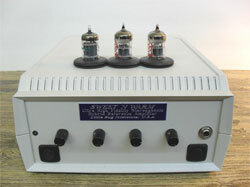 Sweet ‘N Warm Amplifier consists of a stereo power amplifier driven by vacuum tube signal preamps. A separate power amp uses an ultra low noise operational amplifier to drive high quality headphones without the need to reduce power from the speaker amps for that purpose. Our customers include recording artists, studio musicians and many that require clear, clean audio for any purpose that 2 x 68 watts can handle. In case of lightning, or other power line disturbance, the primary fuse is located on the rear panel of the unit for easy access. Sweet ‘N Warm Amplifier is proudly housed in a quality SIMCO Enterprise enclosure. Studio 1 has designed a new generation of XLR audio adapters for audio engineers, videographers and professional camera operators. Five models are available and allow the operator to record audio to two separate audio tracks, or they can be used as an audio mixer. The units have a belt clip to afford easy access to the controls and hands free operation. They can also be used with steady cam devices and jib arms, or be mounted directly to the tripod head. Studio 1 designed its XLR Audio Adapters in the 160X25 SATURN enclosure. SIMCO machines the cutouts needed for Studio 1 ‘s assembly requirements and pad prints the sharp graphics for a totally customized appearance. The BC-1 Belt Clip completes and enhances the unit. In addition to providing enclosures to Studio 1, SIMCO also assists in fabricating Jib Arms and Boom Poles for Studio 1 ‘s special requirements in our own machine shop. ESE Medical has developed a technology to make speech louder and clearer that goes beyond mere amplification. The Speech Enhancer is a voice processor, which changes articulation. For those persons facing communication challenges because of unintelligible or low-volume voices, the Speech Enhancer is often the doorway to independence. The system has a microphone and lightweight unit worn at the waist. When the person speaks, their voice comes out instantly sounding just like them, but clear and audible and with the proper volume. It also works with the telephone and computer speech recognition software. ESE Medical designed the Speech Enhancer in SIMCO‘s pocket-size ENDEAVOR enclosure, the 35TB. ESE selected the 35TB Black enclosure over others sampled because of the appearance, size and the usable wall-to-wall space behind the end panel. SIMCO machines openings in the enclosure and end panel for assembly requirements and provides the sharp pad printed graphics for identification. This issue of DISCLOSURES features the AudioImage 2L and 4L Music On Hold Commander by Invotel Corporation. These unique adapters enable regular analog telephones to have a Music/OnHold feature utilizing the HOLD button on the telephone itself. Businesses can choose to provide music from a selected audio source or can record their own informational message or sales promotion. This ability projects a professional image to the caller. Only one Audioimage controller is needed for all the phones in the office. The Audioimage 2L will handle 2 lines and the Audioimage 4L handles 4 lines. Invotel designed the Audioimage in SIMCO‘s 35CBA ENDEAVOR enclosure. The contoured top with its recessed areas was perfect for the Invotel product. SIMCO machined openings in one of the recessed areas and also in the drop-in rear panel to accommodate switches and connectors. Eyecatching graphics applied to the other recessed area in the black enclosure completed its high-tech appearance. GMR LABS designs and manufactures the Vocal Assistant line of portable voice-output communications aides. The Vocal Assistant allows a family member or Speech Pathologist to digitally record a set of custom messages for an individual, who can play back any message from the membrane keypad or from an external scan switch. Scan switches are available in a wide variety of configurations, and provide message access for individuals with special needs, such as limited visual acuity. Because they’re easy-to-use and portable, Vocal Assistant products are enhancing communications in individual’s homes, hospitals, special education departments, and health care facilities throughout the country. The SIMCO Discovery Series enclosures and value-added machining services provide a sleek and professional package for the vocal assistant product line. It’s especially nice to work with the friendly and professional people at SIMCO. modules that allow children with special needs (Down’s Syndrome, Cerebral Palsy, Mental Retardation, and others) to operate a computer by pressing an oversized table (PowerPad) for input. The Super Port is an interface that connects a Power Pad touch tablet to the Apple IIe and IIGS computer. The Mac PowerPad Interface connects a PowerPac touch tablet to the Macintosh computer. The SuperPort and Mac PowerPad Interface are designed in SIMCO‘s SATURN Series. SIMCO machines the openings for switches and connectors. The PC Bone Grey color chosen by DUN AMIS is computer compatible and the rich maroon silk-screening provided by SIMCO completes the attractive package. a computer using the Dunamis PowerPad tablet and SuperPort Interface. In this post, we are featuring a line of aircraft instrument test equipment built by Multiple Products Company in Titusville, Florida. These products are carefully engineered and hand-assembled to meet the stringent requirements of avionics repair shops and line test facilities. Some of the products offered are : Percent Tachometer Testers, Synchro Simulators and Synchro Testers, like the one shown above. It has a two-channel, four-digit synchro tester I angle position indicator. The unit has resolution to 1/10 of a degree and a channel switch for monitoring one synchro. All instruments can be custom configured to meet user requirements. Custom test equipment fabrication is available. Multiple Products designs into SIMCO‘s XPANDER Series of enclosures. The roomy, rugged construction allows plenty of assembly space to accommodate customer needs. SIMCO’s sturdy Tilt Stand/ Handle Kit completes the package.